• SpreFix ® G is a fiber product of glasswool and classified under the EU-Class 0; biodegradable glass materials. This is used for thermal insulation, acoustics, condensation control and interior structure. SpreFix® G is white, non-flammable and has a density of 45-55 kg/m3. 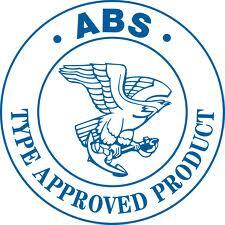 but is used where there are requirements for fire insulation. SpreFix S is gray and has a density of 140-160 kg/m3. In both cases the materials are free from additives such as solvents, asbestos, cement or silicates. SpreFix® achieves their properties through its patented binder system. 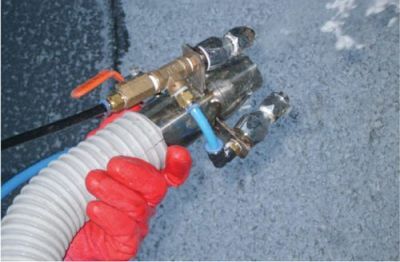 The spray moment brings the binder, which is an aqueous solution of polyvinylalkohol polymes (LPA) and curing agent disodium (LPB). It solidifies into a gel-like structure together with mineral fiber, when it hits the surface to be insulated. The cured polyvinylalkohol polym is insoluble in water, which makes the insulation dries out quickly in contrast to any other insulating material whose binder contains thickeners which swells in water. Furthermore, the cured polyvinylalkoholpolymeren "shrinks”and provides an airy, well-adherent form solid insulation. These products, together or separately, emits no toxic fumes in fire.